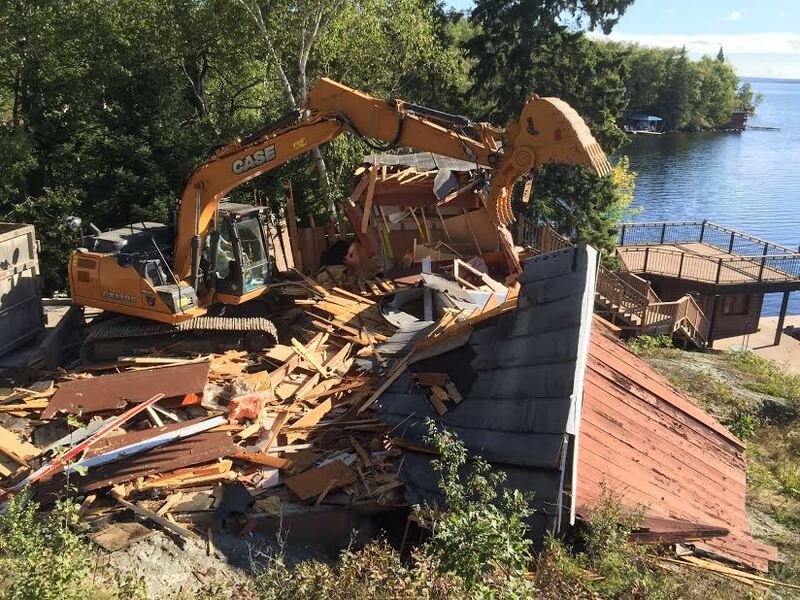 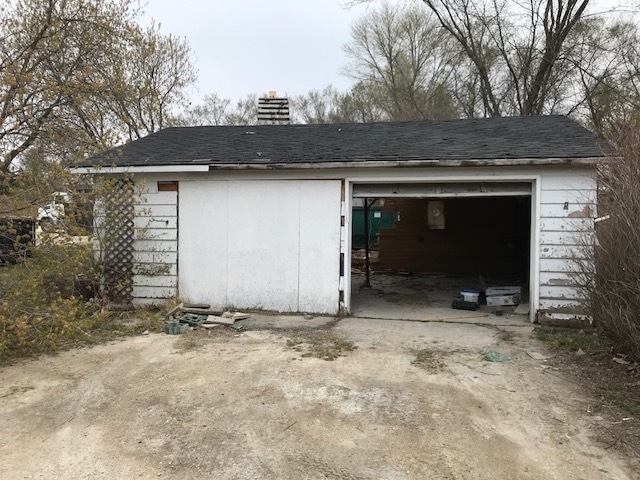 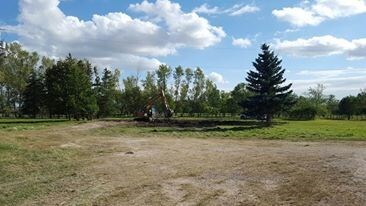 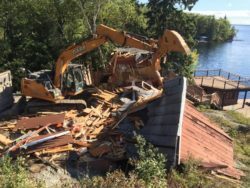 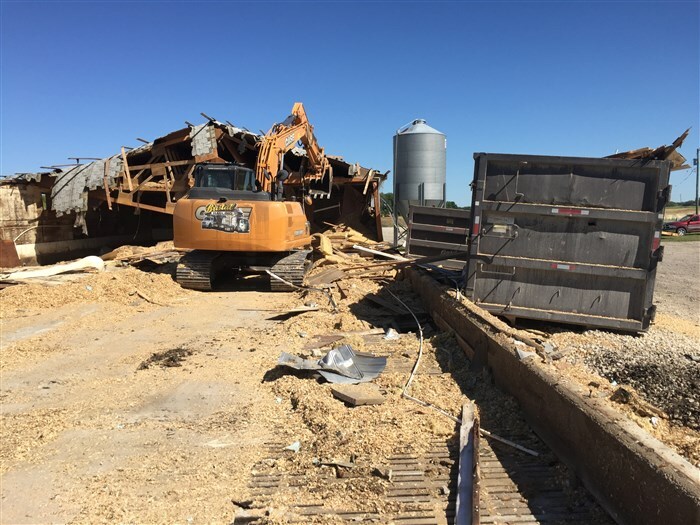 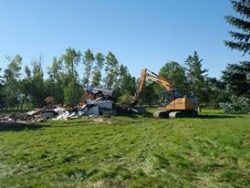 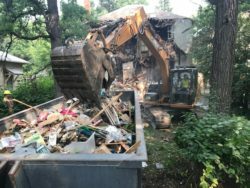 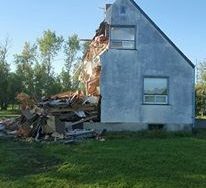 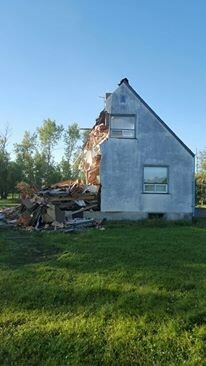 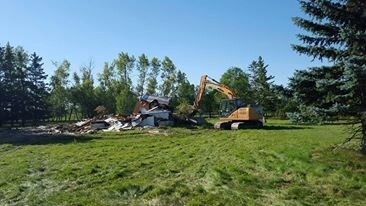 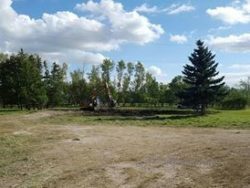 Barn Demolition – Slowly taking down one barn at a time. 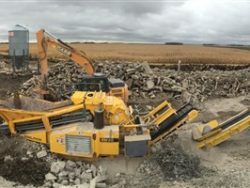 Barn Demolition – Concrete being crushed on-site after the buildings have been demolished. 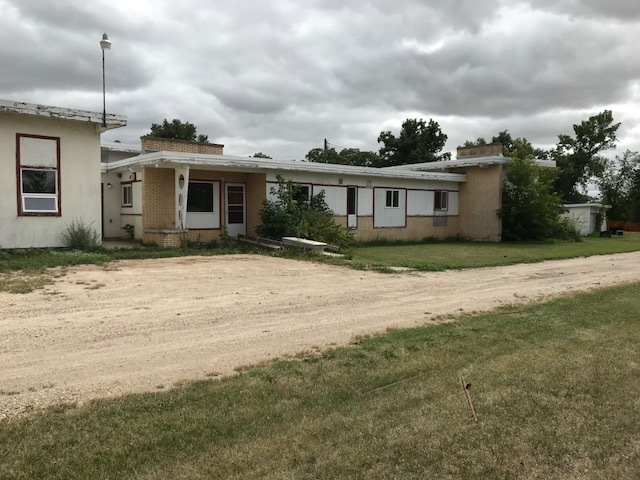 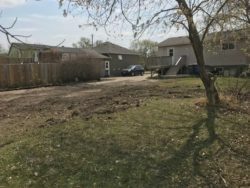 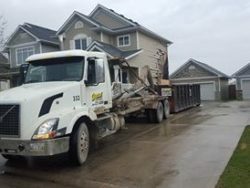 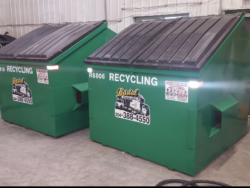 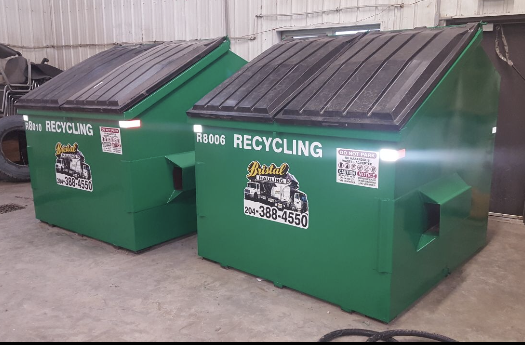 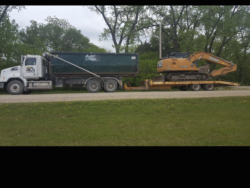 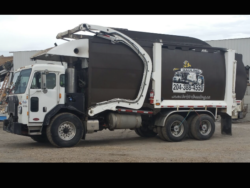 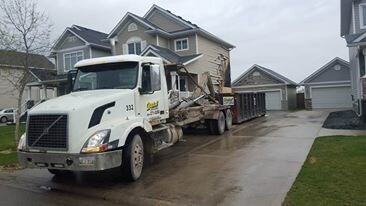 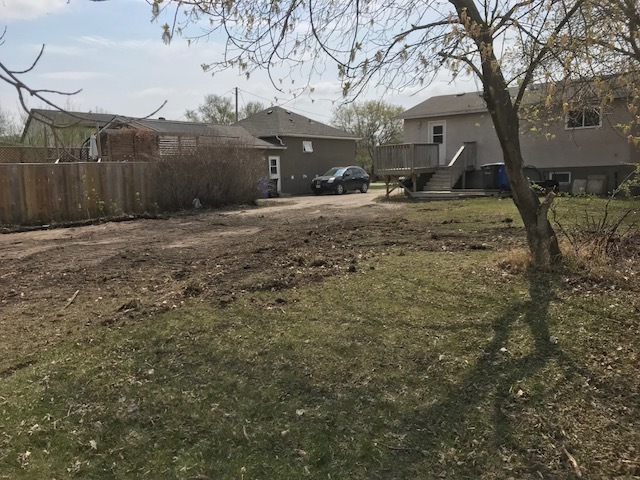 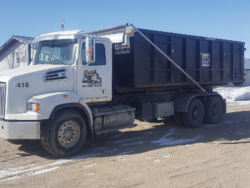 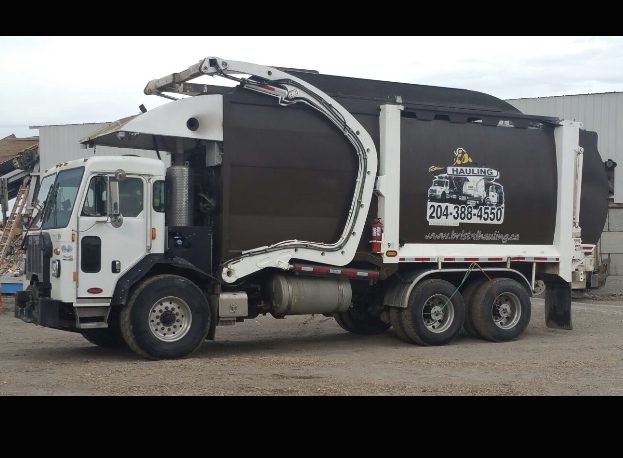 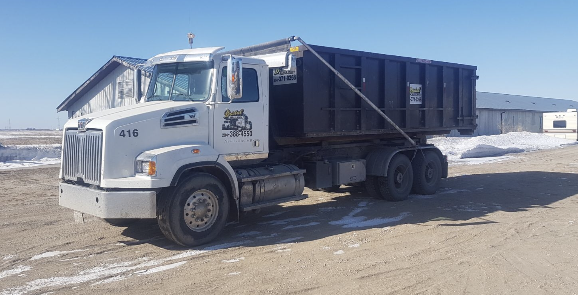 Placing a Dumpster on a Driveway – Keeping the customer happy by delivering the dumpster right beside the house. 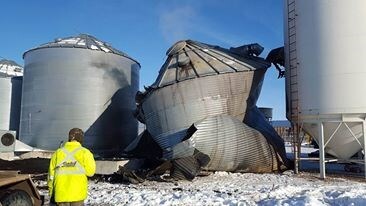 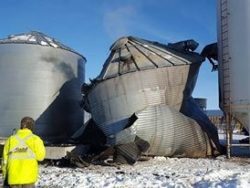 Grain Bin Removal – Our precise team making sure no other bins get damaged in the removal of one bin that received some fire damage. 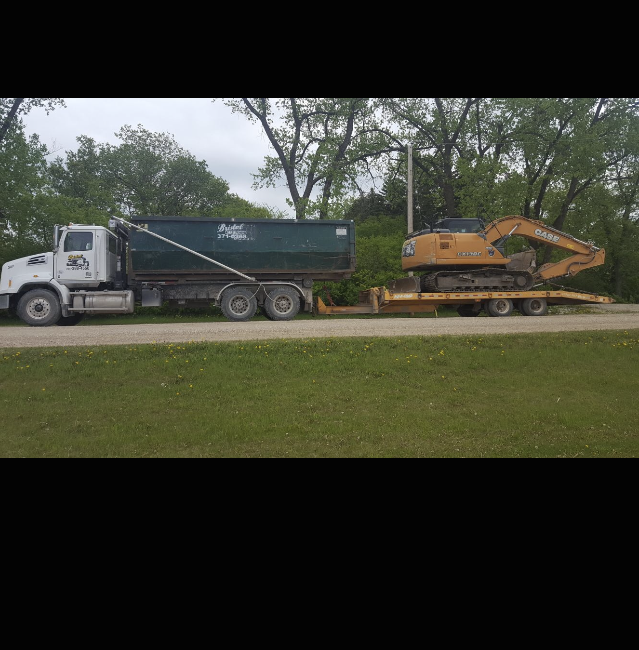 Ready to go to the next job!